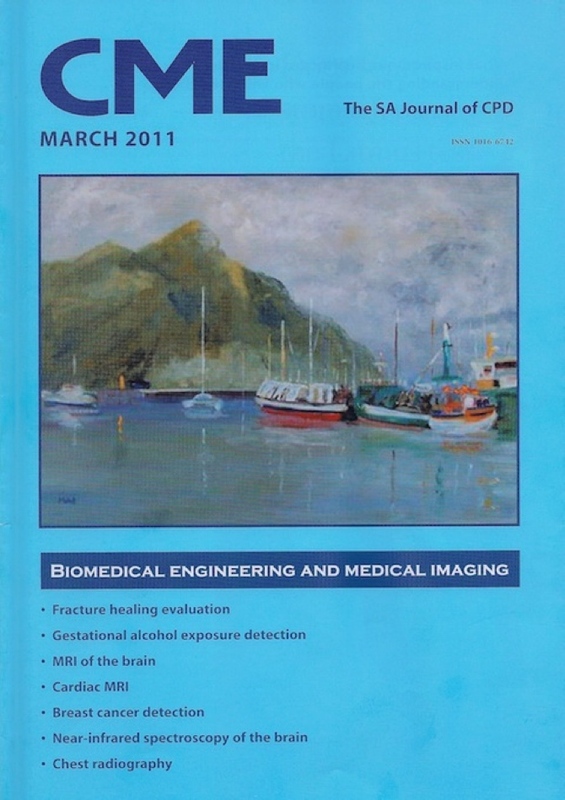 Continuing Medical Education, the South African Journal of Continuing Professional Development, has just published a special edition that focuses on biomedical engineering and medical imaging. Topics covered include fracture healing, facial image analysis to detect gestational alcohol exposure, magnetic resonance imaging (MRI) of the brain and heart, and chest radiography (click here for journal). 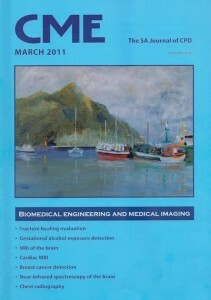 Our CEO Kit Vaughan has written an article entitled “New developments in medical imaging to detect breast cancer”, in which he covers areas such as full-field digital mammography (FFDM), digital breast tomosynthesis (DBT), computer-assisted diagnosis, automated breast ultrasound (ABUS), MRI, use of radionuclides and multi-modality imaging. While such a system does not yet exist, Kit suggests that a promising candidate for screening would appear to be a dual-modality device that combines FFDM, DBT and ABUS (click here for article). However, we encourage you to watch this space!